Always try to place your portable restroom in a high and dry area. Place in a well-ventilated area. This will help alleviate unwanted odors. To ensure proper servicing please keep clear of vehicles and machinery. Restrooms should always be placed on level ground for maximum stability. Consider accessibility and try to strategically position and scatter if needed. 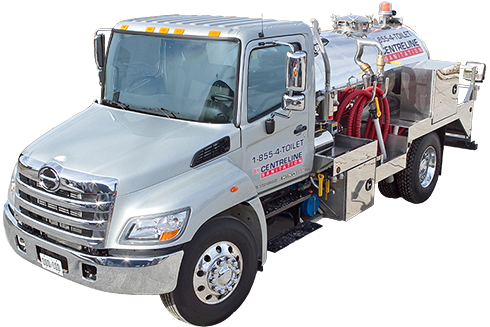 Restrooms must be placed within 20ft of a service truck for proper servicing. Tip overs can be deterred by chaining your restroom. Courtesy calls can be provided if you would like to know when we’re on route. Our Premium Portables have locks and we can provide keys for them. It will keep unwanted guests from using your Portables. Please let us know if your work site requires any security clearance or has site hours. Supplying our driver with a key is an option. During winter time, avoid placing restrooms in areas where they may get plowed in. Service times can fluctuate from week to week but we do attempt to maintain the same service day.